This was a great start to a new series. Avelyn, really had me believing this book was going to be some lovey dovey, sappy book about a girl beating cancer! Nope! She throws in a twist and bam! The girl dies, then she comes back and just when i start thinking whats going to happen, bam! Another twist, the military steps in and this poor girl has to kiss her dreams goodbye. They want to use her for secret missions and dont get me started on Tommy! I really thought they might have a small romance, but after what he pulled, oh no! That mans got some pay back coming! All i have to say is there are several grammar mistakes, but easily looked over . The book does start kinda slow but it builds up and then it takes off! So if you stick with it, i promise you it gets better. 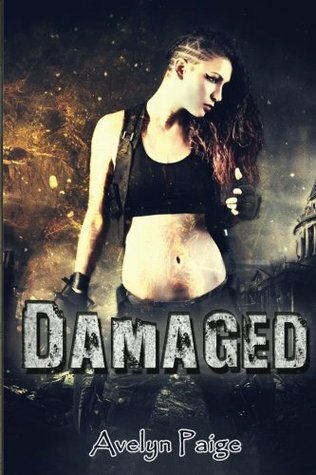 The things that this poor girl goes thru, first being a sick teenager, then the physical reconditioning to get her body into shape, and then her first mission all goes wrong! I hope in the second book she gets a break and finds some shred of true happiness. This book was given to me in trade for a honest review,as a reviewer for M.Brennan. Thank you.